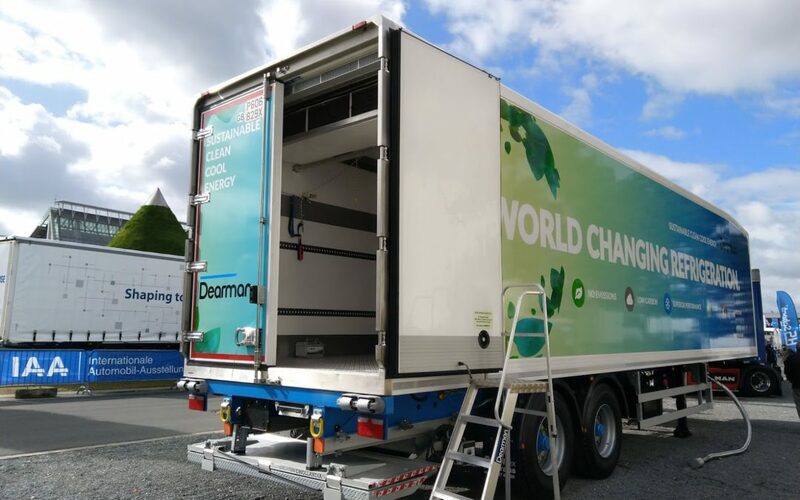 This week at the IAA 2018 in Hannover the BlueSeal air curtain Original is shown in a vehicle built by Paneltex. The vehicle is also equipped with a Dearman engine, a novel piston engine powered by liquid nitrogen. The BlueSeal air curtain assists the Dearman engine: by keeping the cold air inside during door openings the Dearman engine has to work ‘less’ to bring back the temperature to desired levels. 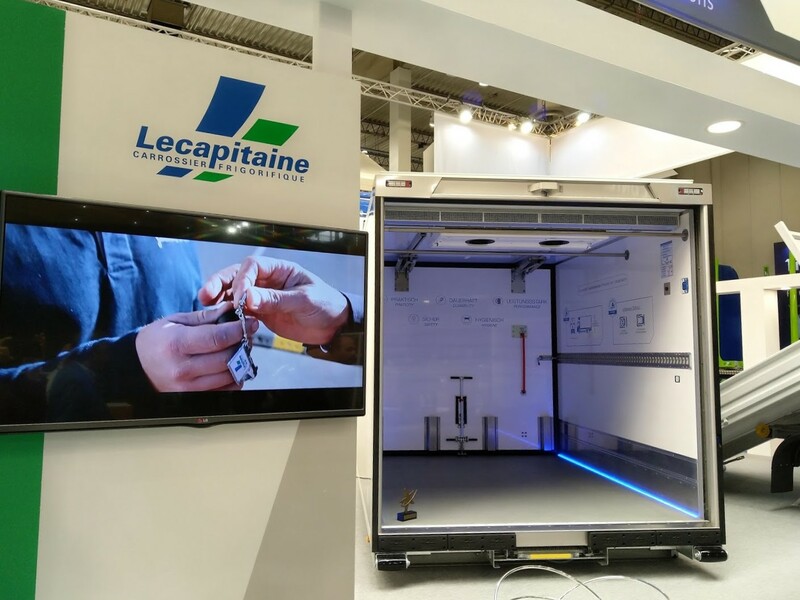 At the stand from Lecpaitaine the BlueSeal air curtain is shown in a vehicle equipped with Lecapitaine’s new EasyAcc’Air door, an innovative shutter door.